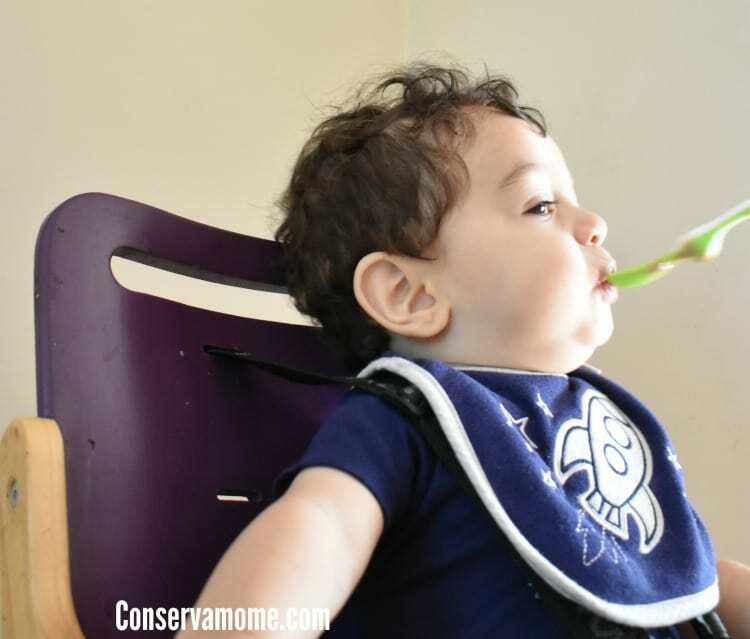 Check out how I keep baby clean during feeding fun with my little one. I’ve teamed up with Gerber Childrenswear as part of an ambassadorship. However, all opinions are 100% mine. Feeding a baby sounds like the easiest thing in the world doesn’t it? Well if you’ve had the opportunity to do so, you’ll quickly realize how messy feeding a baby can be. After 6 kids I realize that it’s not a task for the faint of heart because let’s face it, they can get messy, dirty and full of their favorite treats. There are times both of us end up wearing more food than he ate. 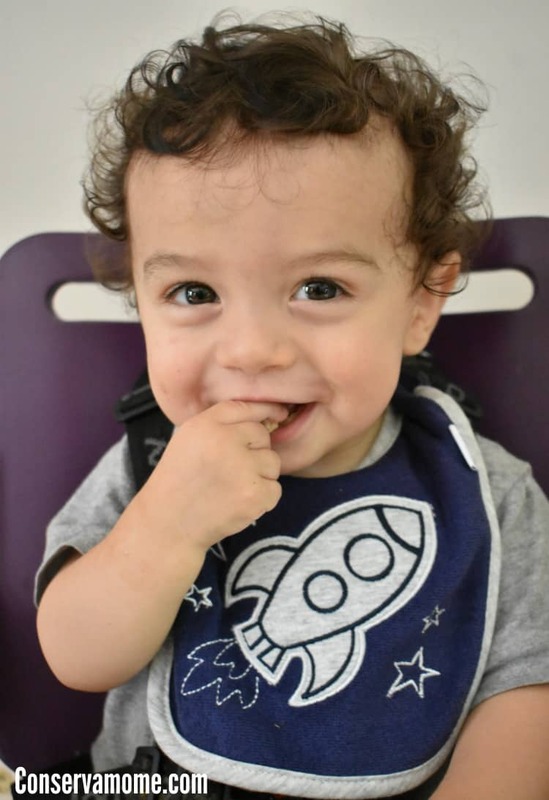 As your baby starts to eat new foods and textures they’ll start to enjoy a variety of foods. Some are messier than others. You’ll also notice the older they get the more they’ll want to feed themselves. 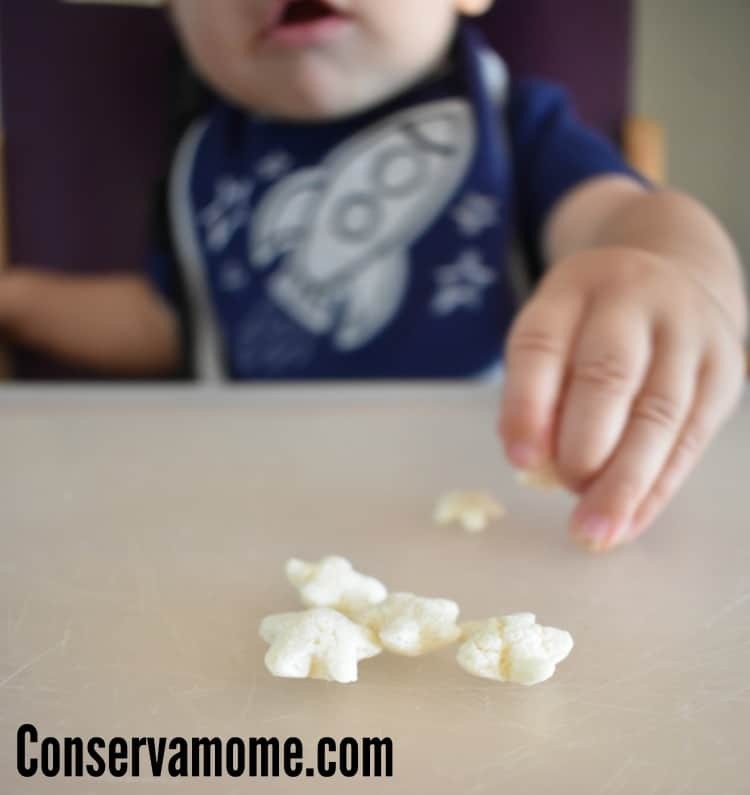 Small finger foods will become a big plus in your feeding routine. My guy will start screaming if his food isn’t ready when I sit him down so sometimes I just put a few of these little puffs or yogurt melts to help keep him entertained and give him a sense of autonomy while feeding. 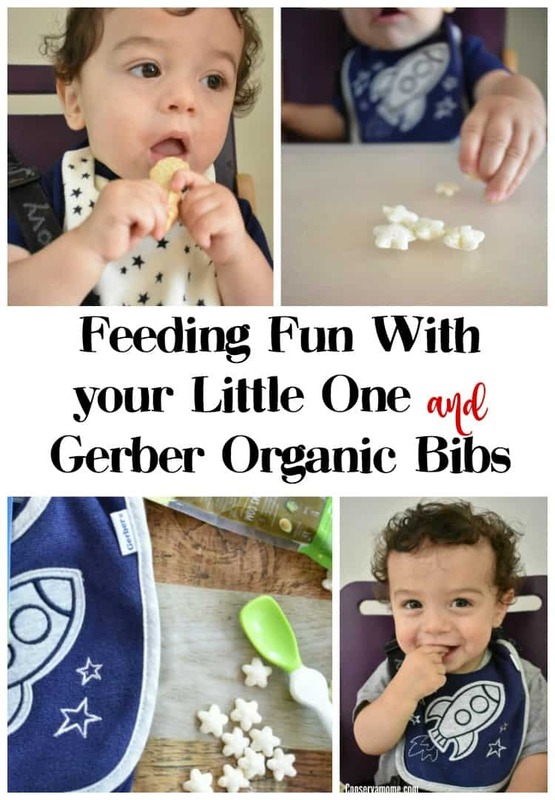 With all the feeding fun the one thing you will realize is that no matter what you feed them they will get messy, that’s why it’s important to keep their clothes clean and protected with some sweet styling bibs like the new adorable and affordable collection of Gerber Brand Essentials Organic bibs. 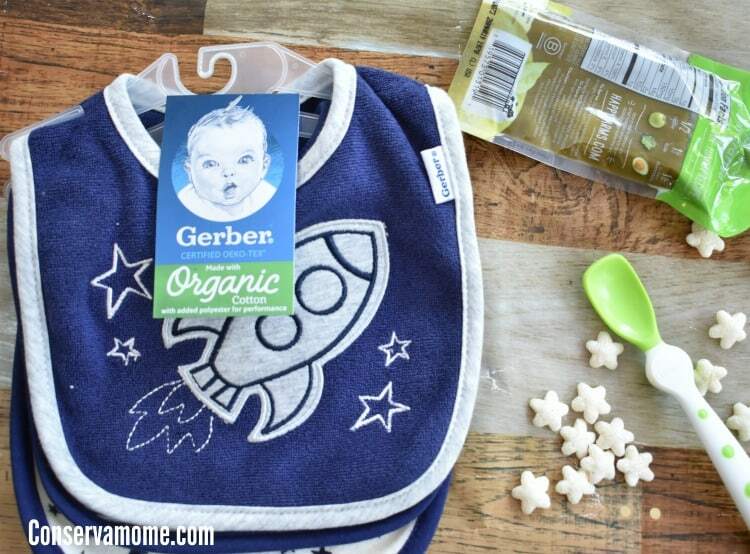 The gorgeous Organic Cotton Blend Terry Bibs and burp cloths from Gerber are the perfect way to keep your little one looking good and clean during feeding time, because let’s face it…babies are messy! 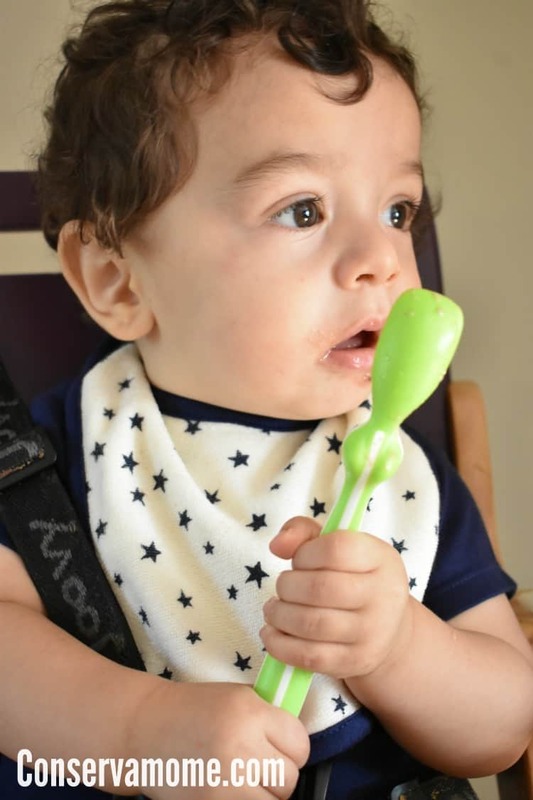 Each bib and burp cloth is made with organically grown cotton for the perfect balance of quality and sustainability. The premium fabric is baby soft for all-day comfort and will give you peace of mind that no harmful substances will touch your baby’s skin. 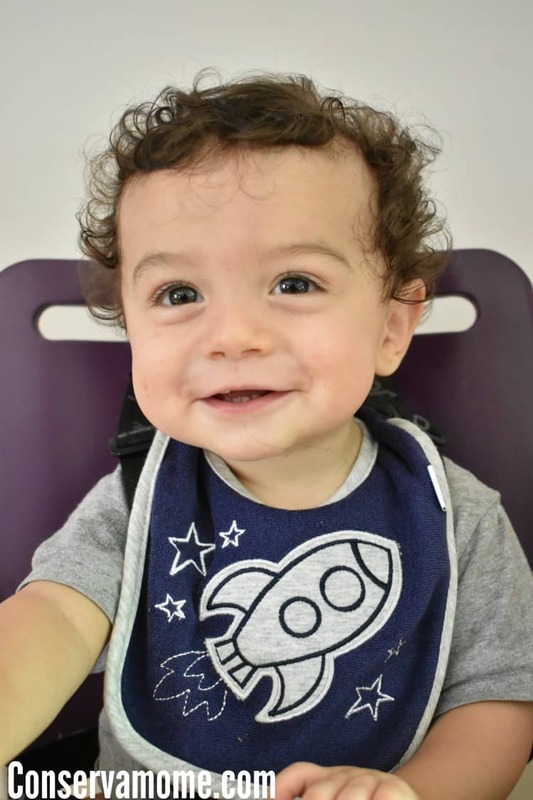 The fabric is thick and absorbent, perfect for catching all of those drips and dribbles! They’ll look adorable in the themed applique and embroidery artwork on the bibs. The bright, cheerful colors are fun for his little eyes to look at when it’s time to chow down at lunchtime or while resting on mom’s shoulder after dinner’s done. When it’s time to clean these items, the easy care fabric makes light work out of laundry day. Because who needs any more complication in their lives right? These would make an adorable baby shower gift. The space theme with the rocket is darling.